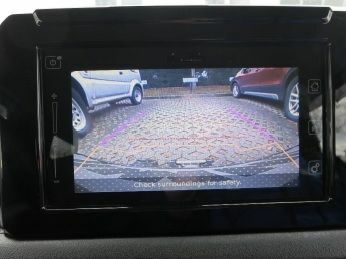 Genuine Suzuki Rear View Camera kit. This kit ONLY fits vehicles with the SLDA (this is the premium radio unit fitted to the SZ5 models in the UK - check it fits your unit before ordering, particularly if ordering from overseas). This can be a DIY install for those with a reasonable level of ability. The dealer fit time is 1.3 hours and is listed as being just over £80.